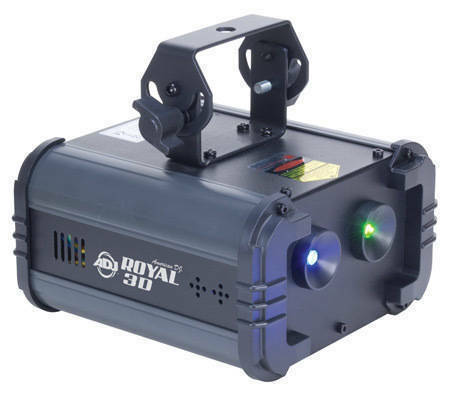 The American DJ Royal 3D features one 30mW green and on 350mW violet blue laser beams that rotate back and forth creating amazing aerial effects on a ceiling or wall or projected onto a crowd. 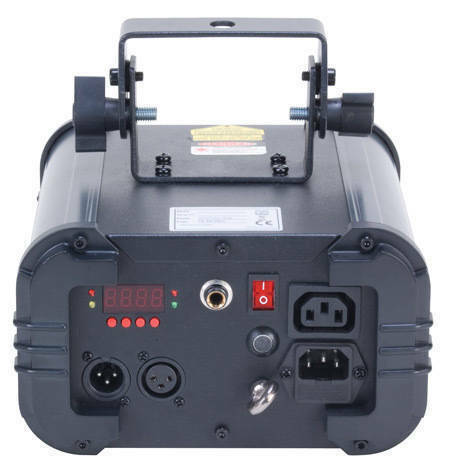 Perfect for small clubs or the entertainer on the go! 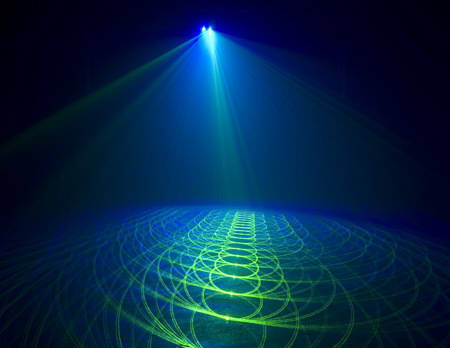 Just turn it on and let it run in sound active mode through it's 15 exciting built-in programs. 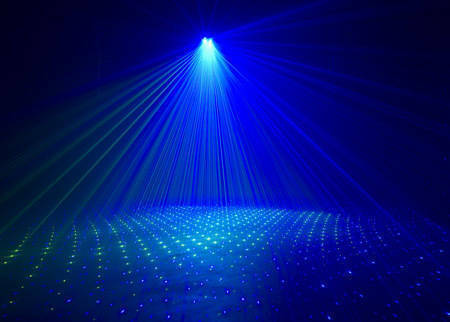 Link up to 14 units using 3-pin XLR Connectors and IEC In/Out power cables to create an awesome shower of green & violet blue Laser beams.